this morning, sam was very keen to watch the dvd of shaun the sheep that we (or more precisely, i) got from the library. 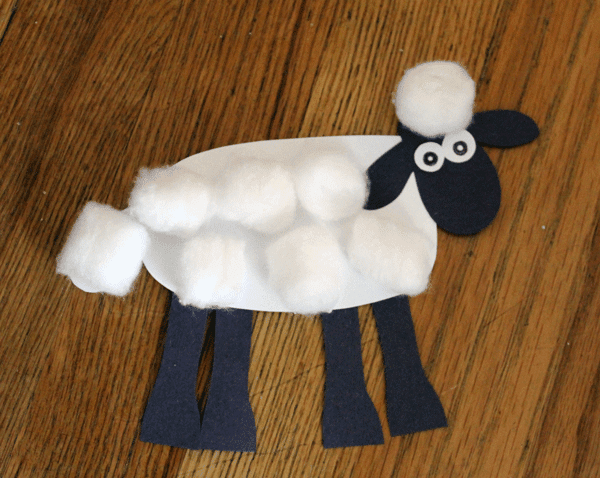 so, later on when he wanted to investigate the cottonballs from the bathroom, i thought it would be more fun to make our own shaun. i got out some construction paper and glue, and sam collected some of the cottonballs. 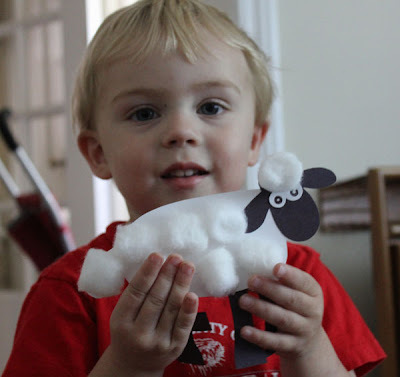 a little less than 10 minutes later, sam was pleased to have his very own sheep. i think he was quite proud of his cottonball-gluing abilities, and i was quite proud of the fact that when i asked him to clean up the cottonballs, he not only put all the unusued ones back in the container, he even carried the container up to the bathroom and put it away. i thought this might be a fun activity for other kids, so i made a pdf available for download here. enjoy!